Not too keen on the thought of eating bad ground beef? Green or grey ground beef seems a little unappetizing? Prefer to skip the moldy ground beef? Fair enough. It's not hard to tell when ground beef has gone bad. However, bacteria like salmonella, e. coli, listeria and others are undetectable potential health threats even on ground beef that's not otherwise spoiled. 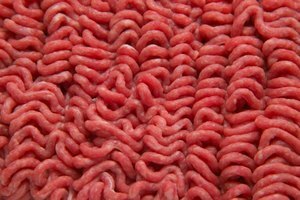 So, it's not only important to know how to identify rancid ground beef, but you also need to be acquainted with safe storage and handling procedures (and always cook it to an internal temperature of 160 degrees Fahrenheit). The most obvious sign that it's time to toss ground beef is a bad smell. Spoiled meat smells gross. It's distinct, pungent and likely to trigger a wince when you sniff. Bad ground beef also usually develops a slimy or sticky feel. If you see mold, throw it away. Then, there's the slightly more complicated issue of discoloration. Green ground beef is no good; get rid of it. However, it's fairly common to see ground beef that has turned brown or grey on the inside of the chunk of meat. This isn't an indication that the beef is old or bad or that it's unsafe to eat. The meat's red to purplish-red hue comes from contact with oxygen. 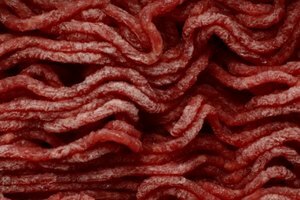 The plastic wrap around packages of ground beef isn't impermeable, so outer meat is constantly exposed to oxygen. However, inner meat may have little to no exposure, causing it to become brown or grey. However, if all or most of the meat has become brown or grey, including the outer layers, then it usually means the beef has started to turn, and it's definitely more prudent not to eat it. Make sure the sell-by date hasn't passed. Check that the package is completely sealed with no rips or punctures in the plastic. Don't take a package that has any wetness on the outside. Confirm that the beef is reddish and has no visible discoloration or mold. Stay away from any packages giving off an unpleasant odor. Pick it out right before you check out rather than walking around the store with it unrefrigerated. Shop for it only when you're going straight home after leaving the store. Get it in the refrigerator or freezer right away when you get home. Never leave meat out at room temperature for more than two hours. If you're outside or your air conditioner is broken, and it's around 90 degrees Fahrenheit or hotter, don't leave it out for longer than one hour. Ground beef must be stored at 40 F or below in the fridge or freezer. Ground beef is highly perishable, even more so than solid cuts of meat. Use or freeze it within one to two days of purchase regardless of the sell-by date (which is for the retailer's benefit, not yours). Cooked ground beef can be refrigerated for another three to four days in an airtight container. To protect ground beef from freezer burn, vacuum seal it, freeze it in an airtight container or seal it tightly in a freezer bag with as much air pressed out as possible. If you freeze it in its store packaging for more than a week or so, put the package in a freezer bag or wrap it with additional layers of aluminum foil or plastic wrap. Technically, frozen ground beef stays safe indefinitely, but its taste and texture degrade over time. Preferably, use frozen raw or cooked ground beef within three to four months. The ideal way to thaw frozen ground beef is to keep it in the refrigerator for about 24 hours. Use or refreeze it within a day. 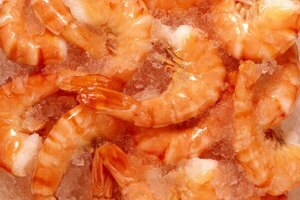 If you need faster defrosting, fully submerge the meat in cold water for one to two hours in a leak-proof package, replacing the water every 30 minutes with fresh cold water. Ground beef thawed this way must be cooked right away and before refreezing. One other safe but lousy method is using the defrost setting on your microwave. 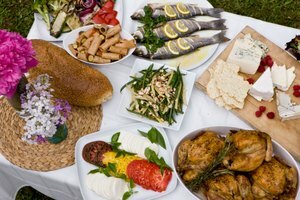 The problem is that this begins to cook the meat, and you have a good chance of ending up with rubbery, overcooked finished dishes. If you thaw ground beef this way, you have to finish cooking it immediately and can't refreeze it before doing so. How Long Can You Leave Beef Stew Out? 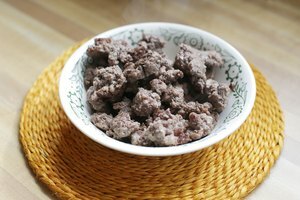 Can I Refreeze Cooked Ground Beef?